First, I must admit I haven’t finished reading WH in Deutsch. Upon finishing chapter thirteen, my brain needed a rest. One day I shall, but for now I need to read a lighter work. The first thing I noted were the changes. Translators have a difficult job because often the languages they are working with do not have words with identical meanings. Things are inevitably lost in translation. What does annoy me (and I’ve noticed this in other novels and films), is when there is a direct translation and the translator will take it upon themselves to use the term they feel is more proper. This may not seem like a major thing, but writers painstakingly choose their words. Every word, not only possesses a specific meaning, but conveys a different feeling. Obviously they thought that “my barn” is a rather strange term to be used for affection. And it is. But Emily Bronte chose it. Thus, I can only assume that it was an endearment used in the Yorkshires. The novel is rife with unnecessary changes such as the above that affect its flavor. But most notably, I’ve come across the realization that Wuthering Heights can never be as good in German, or in any other language, as it is in English. To backtrack for a moment, I have read many of Agatha Christie’s novels in German. Even with some changes (some necessary, some not), I never felt anything lacking. It hardly matters if some vocabulary or syntax of hers is changed. This is no slight to Agatha. She admitted in her autobiography that she was no prose artist, no wordsmith. Her talent lay in her spellbinding plots. However, when you consider someone like Emily Bronte, who held such mastery over the English language, a sense of magic is lost. None of this means that the translation is horrible, and that one shouldn’t read it in German. But to experience it in its full glory, one must read it in its original language. On a similar note, I’m glad I’m waiting to read Goethe in German. English is crisp, elegant, and terse. German will never be known for its succinctness. German’s worth lies in its strength, its passion. Due to the inherent differences in the languages they evoke quite different feelings in the listener or reader. And some things just naturally sound better in one rather than the other. There is a reason why Germany is not known for its comedies. But drama! The German language was made for drama- and the more dramatic the better. So what better book to try reading next than my beloved Wuthering Heights? How will it fare? In 1820, after his wife succumbed to cancer, Patrick Bronte was left with the responsibility of raising six children on his own: Maria, Elizabeth, Charlotte, Branwell, Emily, and Anne. Although Patrick’s spinster sister-in-law came to the parsonage in Haworth to care for the children, they turned to Maria for guidance and maternal affection. Worried about his daughters’ formal education, and unable to afford one of the better schools in the area, Patrick thought he’d discovered the perfect solution when the Clergy Daughters’ School opened at Cowan Bridge in 1823. He sent Maria and Elizabeth there on July 21, 1824. Charlotte followed six weeks later, and Emily, the following autumn. However, the school conditions were harsh and unsanitary. Maria returned home in February 1825 after being diagnosed with tuberculosis. Elizabeth followed on May 31st. A few days later, Patrick sent for Charlotte and Emily. While his youngest daughters had fortunately not fallen ill, it proved too late for his two eldest. Maria died on May 6th, and Elizabeth fell soon after. It’s been called the most passionately written novel in the English language. The love between the foundling Heathcliffe and his foster father’s daughter, Catherine, turns to hate when she forsakes him (and herself) to marry for money. Many people open this novel with false expectations. This usually comes from having viewed the classic film version starring Sir Laurence Olivier and Merle Oberon. As gorgeous as that film is- it is not the book. Not only is the second half of the story missing- the characters and themes are also greatly watered down. In the film, Heathcliffe is the tragic hero- heartbroken and brooding over the woman who left him. It never goes into the horrific emotional and physical abuse he unleashes onto the second generation. Catherine is portrayed as a spoiled, narcisstic child. The film doesn’t dare go deeper into her troubled psyche which causes her to will her own death. Indeed, much of Emily’s poetry deals with personal freedom. Catherine commits suicide the moment she allows societal opinions to dictate how she should live. It takes her body some years more to follow. A stronger passion breathed, burned, in this last farewell. Many critics claim the second part of the novel- concerning the relationship between the second Catherine and Heathcliffe’s adopted son, Hareton, is weak. Is it less passionate than the first part? Yes. Weak- no. The first part of the novel is a thunderous storm. The second part details the breaking of the clouds- and at last- the calm. What Heathcliffe and Catherine did wrong- Hareton and Catherine the 2nd, set right again. Wuthering Heights is not for everyone. While it is a love story, its dark themes of vengeance, abuse, madness, and necrophelia- is not of the Harlequin sort. People hate this novel with the same passion others love it. It is doubtful anyone ever forgets it. Those born on the the seventeenth of any month are said to be strong in spirit throughout the difficulties of life. Anne Bronte was born on January 17, 1820, the youngest surviving child of the family. One day, her older sister, Charlotte, watched over Anne’s wooden crib. She cried out to her father to come, for she had seen an angel hovering over Anne. This angelic image still lingers over Anne Bronte. She has long been thought of as the “sweet, shy” sister. The sister that would be all but forgotten if not for her surname. As is often the case, Anne’s gentleness was mistaken for weakness. Anne’s sweet smile belied a will of iron. By the age of five she’d lost her mother and her two eldest sisters. The remaining siblings: Charlotte, Branwell, Emily, and Anne formed an enduring bond. Encouraged by their father, they read voraciously and created their own magical worlds which they set down on paper. While Charlotte and Branwell continued working on Angria, Emily and Anne branched off with their own kingdom of Gondal which was inspired by tales from Lord Byron and Sir Walter Scott. Charlotte’s best friend, Ellen Nussey, noted Anne and Emily were, “like twins, inseparable companions in the very closest sympathy, which never had any interruption.” Indeed, it was only to Anne that the reclusive Emily ever opened up. Deeply religious and ambitious, Anne was determined from an early age to succeed at all she set out to do. While all of her siblings had failed at their career attempts away from home, Anne used her faith to survive her two tenures as a governess. First, at the age of eighteen, for the Inghams of Blake Hall, Mirfield; and later with the Robinson family of Thorp Green. Governesses were not only paid less than the general servant or lady’s maid, but they found themselves in very lonely situations. They were not part of the family and the other servants usually shunned them. Anne depicted these experiences as a governess in Agnes Grey. 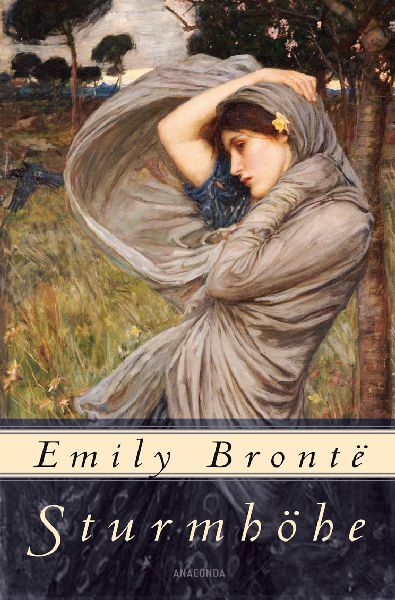 Written in a simple, down-to-earth style, it was deeply overshadowed by Charlotte’s Jane Eyre. 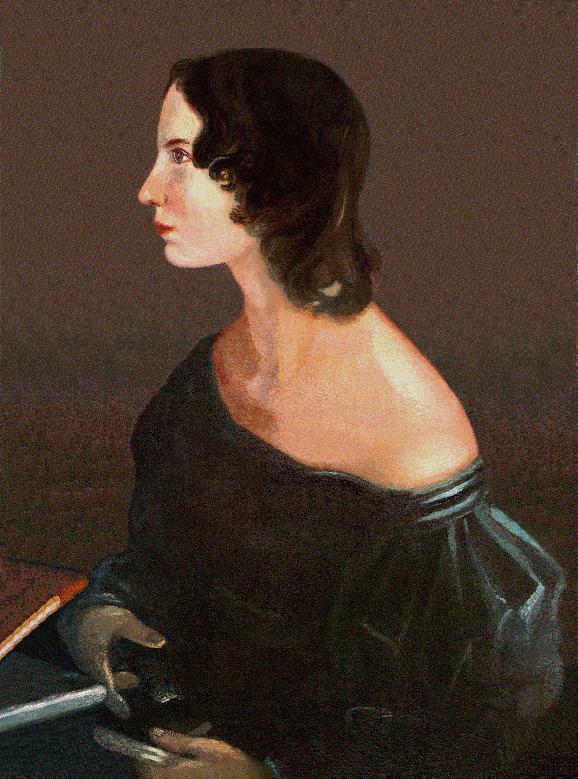 In 1848, The Atlas critiqued, “Perhaps we shall best describe it as a coarse imitation of one of Miss Austen’s charming stories.” Douglas Jerrold’s Weekly Paper, while dismissing the character Agnes as being inferior to Jane, did commend the authoress on her extraordinary powers of observation. Anne used these powers on her second novel, The Tenant of Wildfell Hall. Inspired by the horrors she’d witnessed of Branwell’s addiction to liquor and drugs, she wrote an unflinching account on alcoholism. The general public and reviewers were outraged at the story of a woman who “steals” her child, runs away from her alcoholic husband, and finds love with another man while in hiding. Realistic, sharp, and unsentimental, the novel was years before its time. It proved as controversial as Emily’s, Wuthering Heights. Anne was branded immoral. Undaunted, she set out to write a third novel. However, in September of 1848, Branwell died after years of alcohol abuse. Only three months later, Anne’s beloved companion, Emily, succumbed to tuberculosis. One year later, Anne was diagnosed with the same disease. She begged Charlotte to bring her to Scarborough (a seaside resort that Anne had first visited with the Robinsons). Anne always loved the sea and hoped for its curative powers. Charlotte and her father eschewed the idea for Anne was barely able to walk by now. Anne and Charlotte set off for Scarborough on May 24, 1849. Anne spent her final days enjoying the horizons of her beloved sea.